When there’s trouble who do you call? 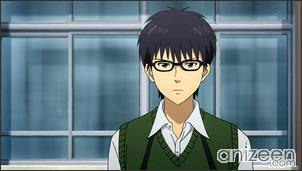 You would resort to the Academy Activity Support club, also known as the “SKET-dan”. 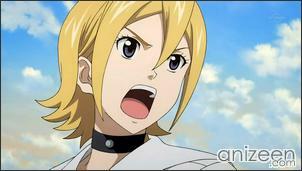 This peculiar club consists of Hime Onizuka or best known as Himeko, the combat specialist in the team. 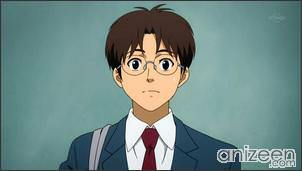 Next, you’ll find Kazuyoshi Usui, or Switch, the smart guy in the team and the expert in communications. 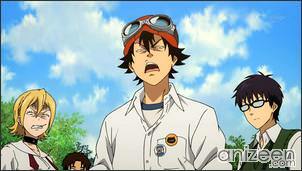 Finally, Yusuke Fujisaki, Bossun, the eccentric, over-achieving leader of the group. SKET-dan helps out around the school from cleaning duties to uncovering mysteries. This unusual group of students takes their job so seriously that even getting lunch is a life and death matter. 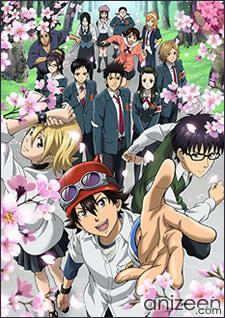 A transfer student arrives on campus, and the three members of the SKET-dan introduce themselves, hoping the new student will join, but he politely declines. 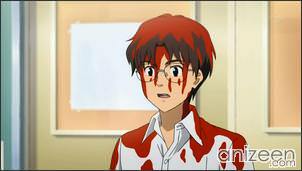 He returns soon after, covered in red paint as the apparent victim of bullying, asking the group for help. 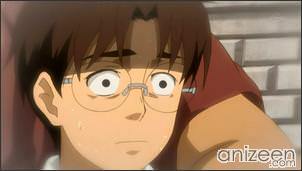 After investigating, they discover the culprit is actually the transfer student himself, who was operating under duress from the school bully and childhood acquaintance. After setting things straight, the new student is able to fit in comfortably at the school, and the members of SKET-dan look forward to their next task. Yusuke Fujisaki is the team leader, an expert marksman and artist whose usually erratic personality is replaced with a brilliant deductive mindset. Bossun enjoys the sense of adventure he receives from helping others for its own sake, but can become very emotionally involved with more serious cases to the extent of verbally abusing those he sees to be betraying their friends. 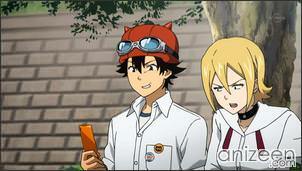 Despite Bossun’s deceptively sharp acumen, he is notably socially awkward around attractive women. Hime Onizuka is the “Amazon”, or “Yankee” of the team, she is a dangerous close-range fighter who serves as the Sket Dan’s muscle using her hockey stick. 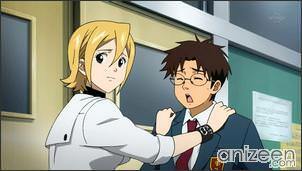 In the past, Himeko, was just a tomboy from Osaka. When her family moved to Tokyo, she found it hard to find friends, even on the Hockey team. 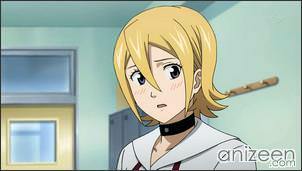 Eventually tired of of this life she transferred to another school, which is the school Bossun attended. She spent her days isolated, deciding to never have friends. 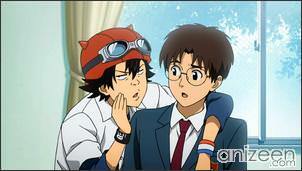 But Bossun, and the class representative, Takahashi Chiaki attempted to correct this behavior by attempting to be her friend. Sket Dance (スケット・ダンス) is a manga series written and illustrated by Kenta Shinohara and serialized in Shueisha’s manga magazine Weekly Shounen Jump. 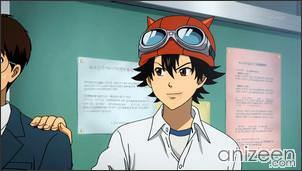 Sket Dance won the 55th annual Shogakukan Manga Award in 2009 for best shōnen manga. 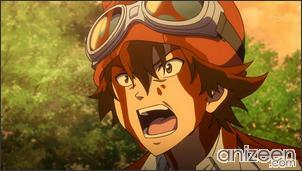 An anime adaption, produced by Tatsunoko, premiered on April 7, 2011. Started to watch this show and I find so hilarious. It just strike the right balance of humor.